A RD Burman effort from when he wasn't that good anymore, at least not consistently so. 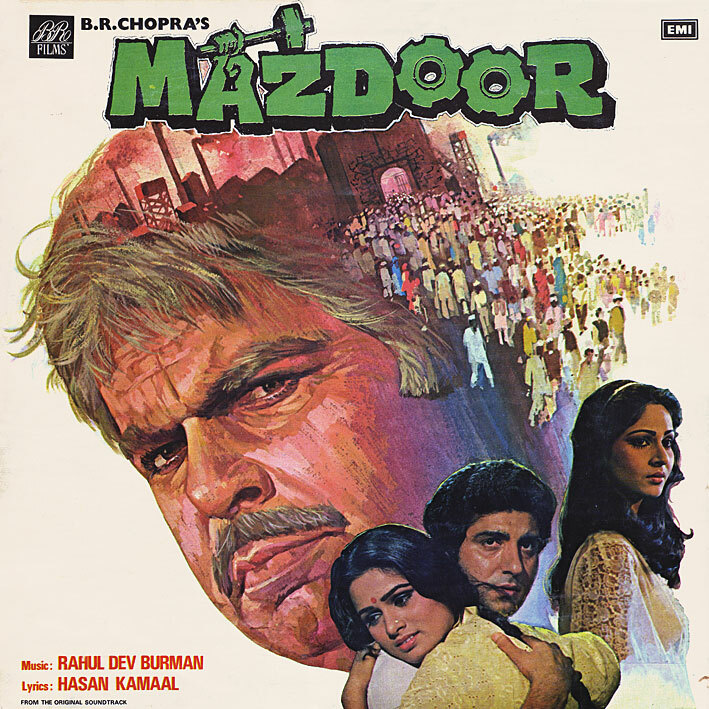 To be honest, there's nothing on 'Mazdoor' that excites me; no spectacular arrangements, no mad thumping grooves, no memorable melodies. Except for 'Pahla Pahla Pyar Na Bhoole', which is sort of (schmaltzily) pretty. Plus it's nice to hear someone other than the usual suspects singing for a change. But that's it really. thank you!!! I love the cover, it reminds me of my grandmother's Reader's Digest Condensed Books which always had these types of illustrations in them.